Vegetable gardens can be plagued with common problems and it can sometimes be hard to troubleshoot them. 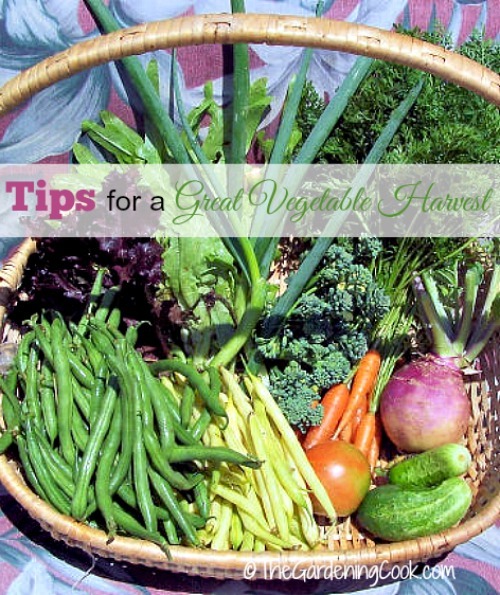 Hopefully, some of these tips for a great harvest will help. A Great Vegetable Garden Harvest is Easy if you Follow these Few Tips. I have tried growing vegetables all sorts of ways. I started with two baby tomato plants in an east facing garden and got a few, but not many. The next year, I got more ambitious and planted a full garden on a section of my back yard with the lasagne gardening technique. The garden continued getting larger and larger, year after year, until I came to my senses, and cut back to a much smaller but very efficient vegetable garden on my back deck. This has been a summer of garden make overs for me, thanks in a large part to a collaboration with a wonderful company called Gilmour. Gilmour is a supplier of many products for your gardening needs, including pruning tools, watering products and a great variety of garden hoses. The company is a trusted and reliable brand which has decades of American heritage. Their Flexogen hose is my favorite and it is superbly made and built to last. 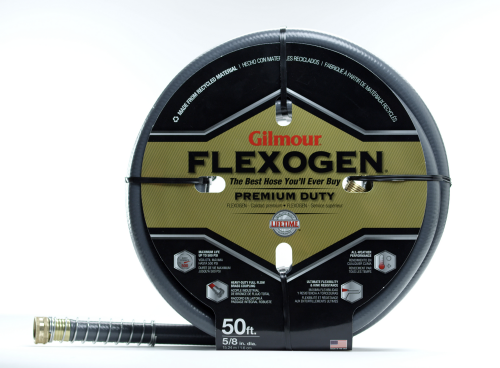 The Flexogen hose has been proudly made in the USA for 40 years and has a lifetime warranty. It is perfect for gardeners like me who put their tools to the test and really want them to last. The hose is the only 8-layer hose in the market, and has a one-of-a-kind patented construction, making it the longest-lasting and most durable hose in its class. The number one factor that has given me such great success for all my vegetables and herbs, this year, is a very successful watering set up. Gilmour products makes it so easy. 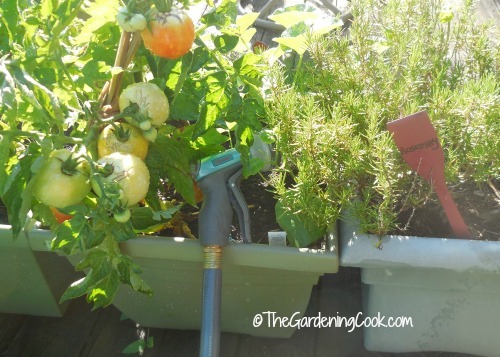 I have my Flexogen hose set up very near to my vegetable growing area, and their watering stainless steel sprayer makes it easy to water each plant just as it needs to be watered. The Gilmour cleaning stainless steel sprayer makes it easy for me to keep my planters and deck looking tidy and neat too. Tomatoes – Tomatoes are the most commonly grown vegetable in the US, but I have had limited luck with them until this year. My beauties started producing tomatoes in early June and have continued to do so every few days. I should have them producing until well into the early fall. 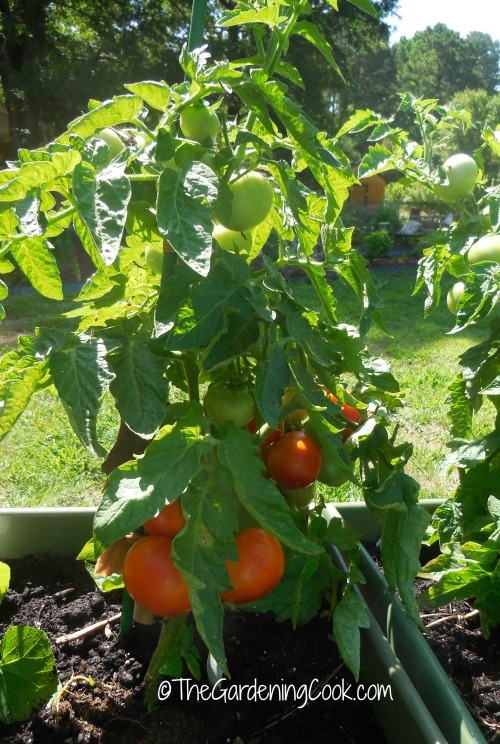 Tomatoes love soil that drains well. They like a good watering and then a bit of a wait until the soil starts to dry out a few inches down. This develops a strong root system. Water from below, not above the leaves. This helps to keep the leaves disease free. Removing the lowest leaves helps to be able to get into the root area to water. 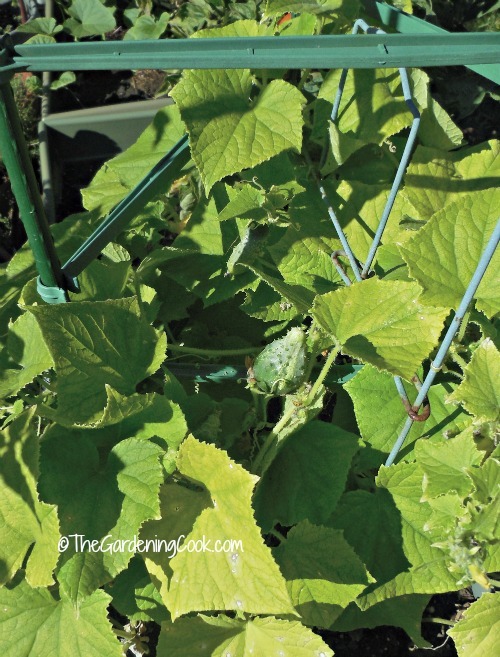 If you have a long growing season, be sure to take some cuttings and plant them midway through the season so that you will have them growing late each fall as I do. Pinch out suckers that start to grow on the leaf axils for stronger plants that are a more manageable size. Stake Tomatoes well. They can get heavy. I use pieces of nylon stockings to tie them to my stakes. 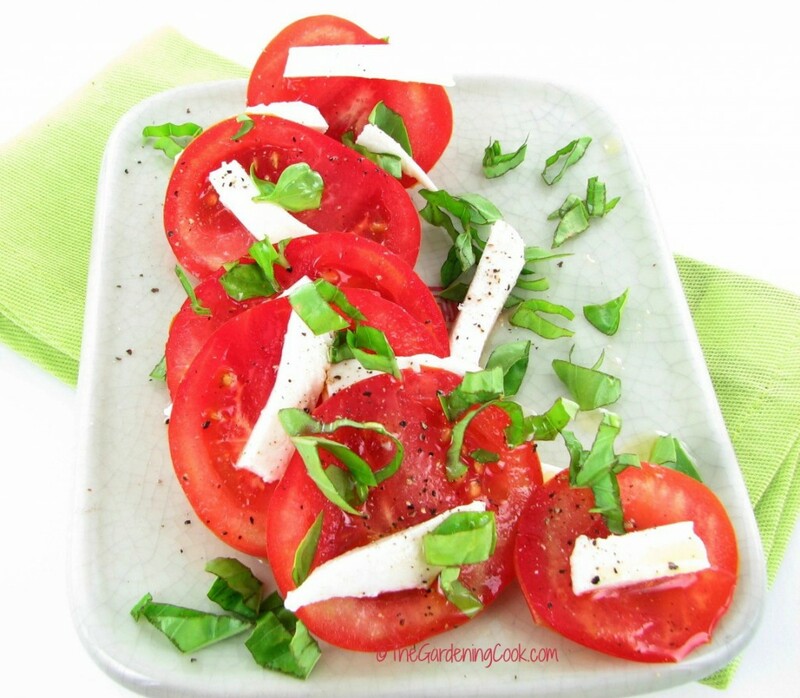 My favorite recipe for fresh tomatoes is Caprese Tomato, Basil and Mozzarella Salad. It is simple to do and tastes wonderful when made with very fresh tomatoes. You can find the recipe here. Peppers – Peppers are fairly easy to grow and don’t succumb to many plant problems. Don’t plant too early. Peppers grow best if planted well after frost. They love the warmth. Stake them lightly using pieces of nylon stockings, so they don’t topple over. 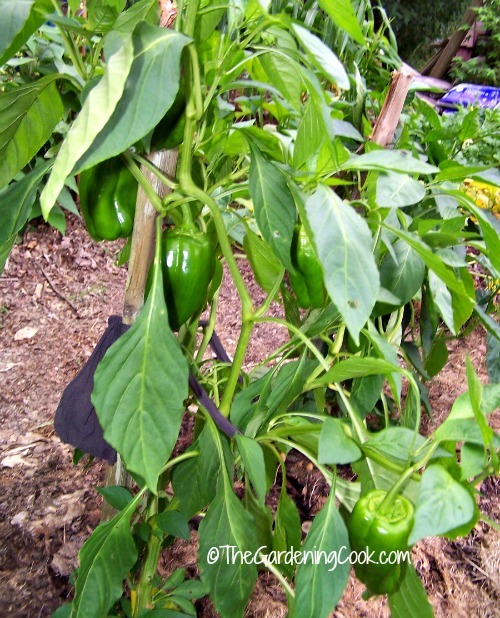 Green peppers will turn red if left on the vine until they change color. Space them 18-24 inches apart or grow in roomy containers. Organic matter helps to retain moisture. I use peppers all the time in so many recipes. One of my favorite ways to use them is to stuff them. 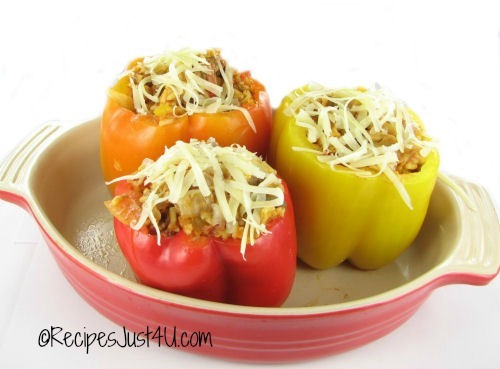 This recipe for Pizza stuffed peppers is easy to do and works with all types of peppers. Cucumbers – Cucumbers have been the bane of my existence until this year. I tried everything. Lots of sun, limited sun. Lots of water, not so much water. On the ground, up in the air. Nothing worked for me….until I put them into a pot. I have the most wonderful cucumber plants this year. They are so lush and full with dozens and dozens of tiny cucumbers just waiting to grow. Finally! Cucumbers are best grown from seed, since they don’t like their roots disturbed. If space is limited, give them a trellis to climb. They will love this method! Cucumbers are heavy feeders. Feed well or add plenty of organic matter when planting. Floating row covers immediately after planting will keep moths from laying eggs on plants. Cucumber beetle damage is one of their worst problems. Harvest before the seeds are fully developed for best tasting cucumbers. My fresh cucumbers don’t get much of a chance to get beyond a great salad and sliced with some salt. They make a great low calorie snack. 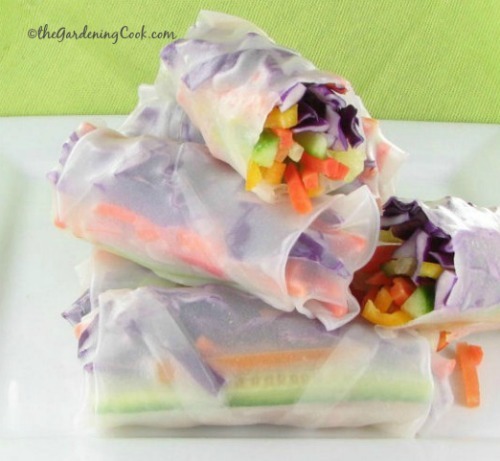 But this recipe for vegetable spring rolls in rice paper wrappers gives me a chance to use them as well as other garden vegetables in a wonderful and healthy party appetizer. 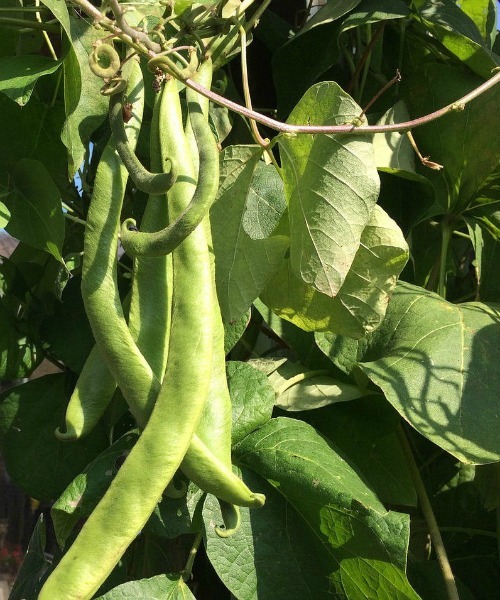 Bush Beans – These are the quickest beans to get from a garden. About 50 days will give you a full crop. I planted both yellow and green varieties and both are doing well. Pole Beans – This type of bean is dear to my heart. It is an heirloom variety that I have been growing for many years with heirloom seeds passed down from generation to generation every since my great grandmother was an avid gardener. If you are wondering about the differences between pole beans vs bush beans, check out this article. It gives lots of great growing tips for both types of beans. 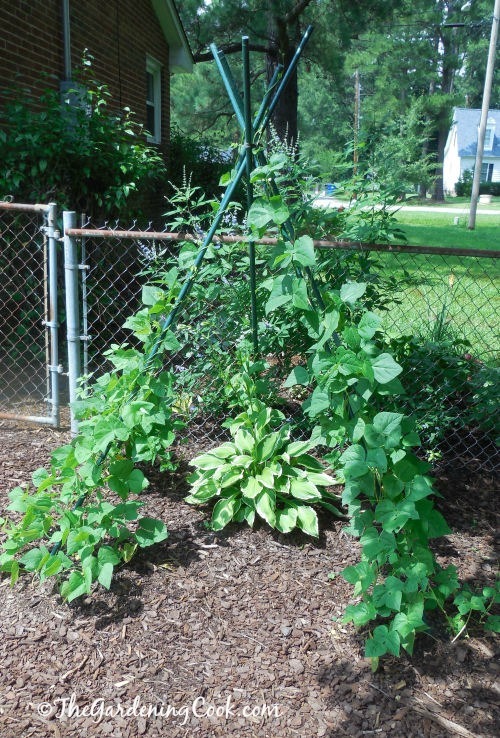 Bush beans need no stalking, but pole beans love to climb so the will need something to do this on. See my bean teepee project for an easy way for them to do this. Beans are best grown from seeds sown directly into the soil. Harvest beans when they are young and tender. They will get very hard and tough if you leave them too long before you harvest them. If you have heirloom beans, don’t forget to leave some to wither on the vines to collect seeds for next year. I love fresh beans cooked so many ways. 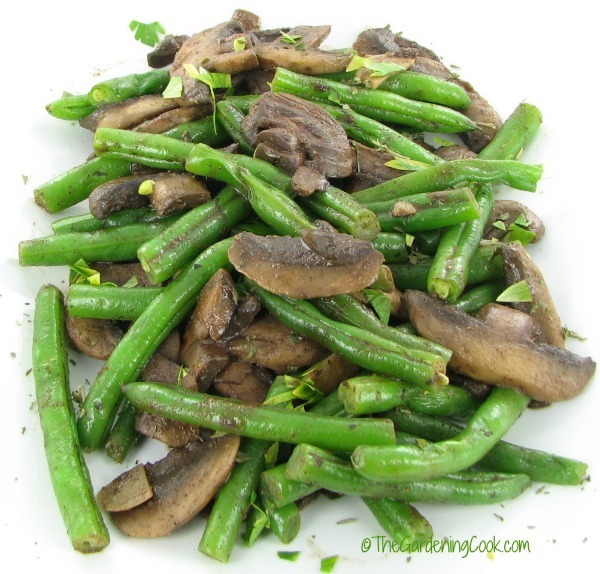 One of my favorite recipes is Green beans with sauteed mushrooms and garlic. Get the recipe here. 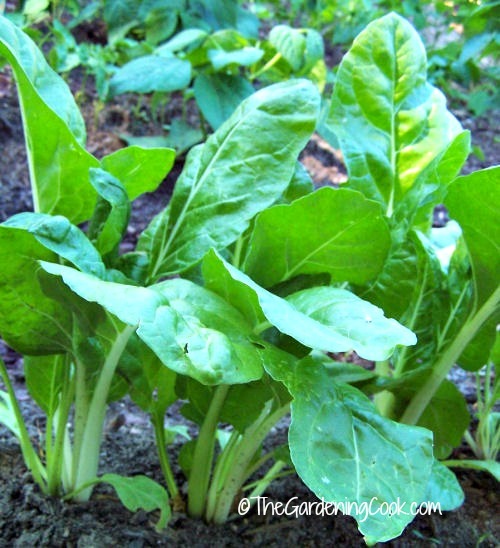 Swiss Chard – I had not even eaten Swiss Chard until a few years ago when I decided to try and grow it. What a wonderful green! Swiss chard does not mind the cool. Sow the seeds two to three weeks before the last frost. Swiss chard is a cut and come again vegetable. It will regrow when cut, so does not need to be pulled out to harvest. Slugs love Swiss chard. Trap them in beer traps. 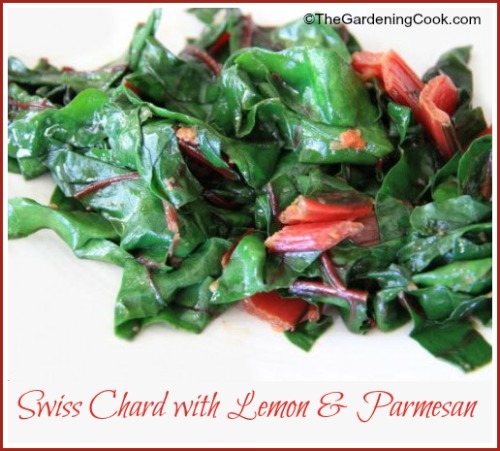 Swiss chard has a wonderful flavor that I like much more than any other green. It wilts well and cooks quickly and is just delicious. One of my favorite ways to cook it is my recipe for sauteed Swiss chard with lemon, wine and Parmesan cheese. Get the recipe here. 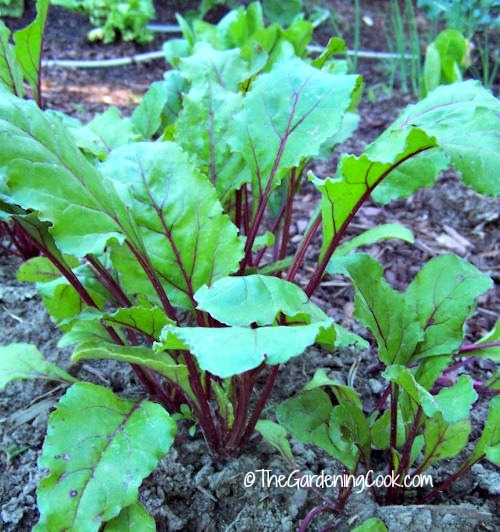 Beets – This fabulous root vegetable is very easy to grow as long as you follow a few easy steps. Give them room to grow. A full beet can grow to 3 inches in size. All parts of the plants are edible. The leaves are lovely sauteed and this is a great way to use the ones you thin. Harvest greens when they are about 2 inches tall. They are best if harvested before they are 6 inches or so. When you harvest the beets, leave at least 1 inch of leaves, so the beets will not bleed when cooking. Beets are a great root cellar vegetable and can be stored for 2-3 months in a cool root cellar, basement or garage. Roasting beets brings out their delicious sweet flavor. It is hands down my favorite way to cook them. 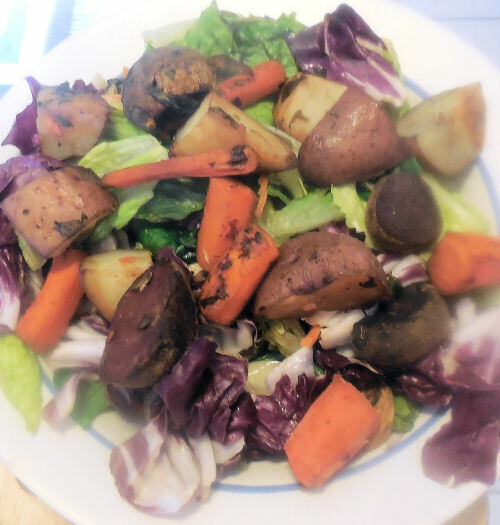 Here is my recipe for roasted beets with garden vegetables and grilled chicken. It makes a hearty lunch meal and is so, so good. 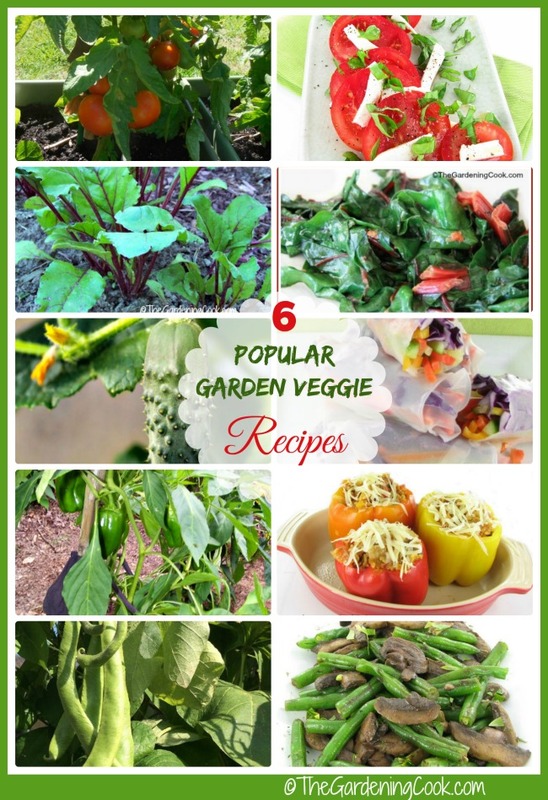 Just use whatever garden veggies you have on hand. For me it was potatoes and carrots as well as the beets. All roast beautifully. Each herb grows really easily in a large pot. Most will come back year after year since they are perennials. (Parsley only lasts two years, and Basil is an annual.) Give them full sun, plenty of water, but not too wet, prune off flowers as they develop (or they will taste bitter) and use them to make your favorite recipes. 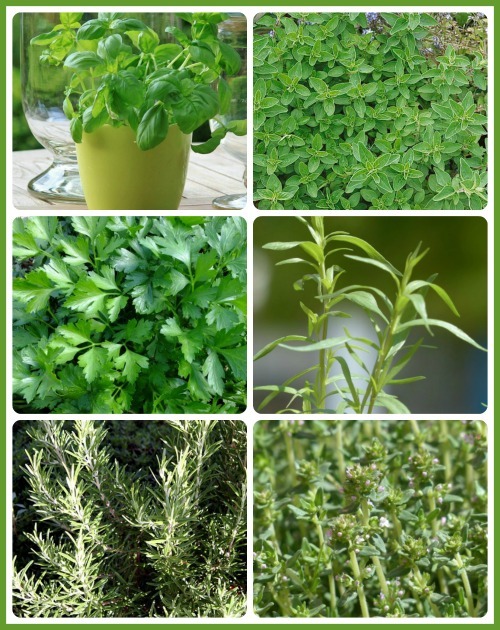 Almost every recipe on my website which uses herbs calls for fresh herbs. Nothing is a replacement for the taste of fresh herbs! Caprese Tomato Basil Mozzarella Appetizer. Be sure to visit Gilmour for all your gardening needs. 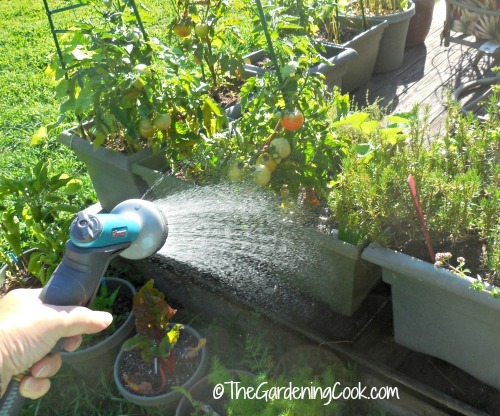 Gilmour Flexogen hoses, watering nozzles and cleaning nozzles will help to keep your garden growing year after year. An investment in one of their Flexogen is the first step in making sure that your garden will produce a harvest that will keep on filling your baskets all summer long, year after year. Thanks for the great tips and the recipes that go along with them!